Awesome midnight mix tonight (listening from the Bay Area of California)! When will you post tonight�s mix playlist? You guys rock! Hi Alan - Love the mixes! Soulful House at it�s best. Record all your shows, Best Radio Show out there!!! Always the best mixes from you Alan. Hi there Alan passing by to show my appreciation for the fantastic music through the years. Keep on keepin on "turn it up,turn it up"
Thank you so much for the love you are giving me on your station. I have shared your site with many of my North America "mates" in Southern California. My wife and I appreciate the support we are receiving around the world. 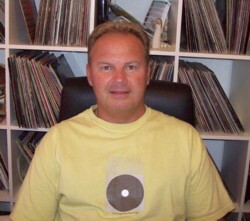 I�ll be starting my new Monthly Show on Solar Radio Saturday 7th Jan, 4-6pm, and the first Sat of the month thereafter. The Best in Upfront Soul and House..... Happy New Year!!! Hey Alan P....... As Always you give us only the best Upfront banging choons and the Mixing is just Dramatic as well. I have had this on Repeat at Home and On My MP3 player..
Hope you continue your shows on Solar Radio for some time to come... Big Respect from DJ Mix Deep in Chicago!! A fan of your show from the USA, Milford - New Haven, Ct to be exact. Glad you are back and I really enjoy the selection of tracks you introduce us to. We have very few choices for such good music here in The Corporate Radio States. Thanks. Big Ups to Alan Powell!! His show brought me back from the edge!! Man, was I down and out! I was bustin� my head against the wall! It�s truly amazing what music can do for a person feeling a tad low. WOW! !